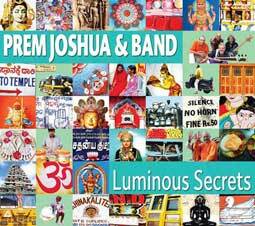 Prem Joshua has over 15 recorded studio albums, the latest project with his band being “Luminous Secrets”. Prem Joshua recorded his first solo album 2 decades ago in 1993 entitled “Tales of a Dancing River”, and since then there was no looking back. You can hear samples of all of Prem Joshua’s music here on Sound Cloud. Sometimes gentle and at times robustly danceable, the musical journey came a full circle with ‘The Subject Tonight is Love’ reflecting the real musician Prem. The piece swung appropriately between euphoria and meditativeness to convey the mixed metaphor of Joshua’s artistry. It’s not often that a musician sitting cross legged armed with a sitar, makes you want to jump up and groove. But perhaps that’s what makes Prem Joshua and Band so special. "Purists may scoff at Prem Joshua's combination of classical Indian music and funky European electronica, but that's why purists tend not to be much fun to hang around with. Prem Joshua, on the other hand, is probably lots of fun to hang around with, at least if his albums are any indication. All of Prem Joshua's projects offer a lovely balance between euphoria and contemplation, and puts it all to a booty-moving beat. Highly recommended." "Prem Joshua's band reminds one of the pioneering efforts in Indo-fusion by such musicians as John McLaughlin, L. Shankar, Jan Garbarek, Zakir Hussain. Unfortunately they were followed by many fusion bands making a lot of sound and fury signifying nothing. It is at this point where one stands transfixed wondering if the very term 'fusion music' is getting re-defined. 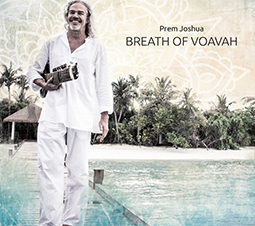 The refreshing music of Prem Joshua & Band seems to revive fusion music." 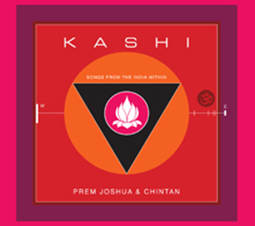 "Is Prem Joshua an Asian musician playing to the West or a Western musician playing to Asians? It does not really matter as one thing is for sure: he is the new sensation of the world music scene! His music captures both the true spirit of the Indian classical tradition and the hypnotic laid-backness of urban jazz and lounge." "The English writer Rudyard Kipling famously penned the immortal line, 'East is East, West is West, and never the twain shall meet.' But then… Kipling had never been to a Prem Joshua concert – if he had, he’d have seen that East and West don’t only meet… they dance together!" "Prem Joshua & Band masterfully blend the roots of Indian raga-music and the fiery rhythms of the Orient with modern energetic grooves and elements of contemporary Lounge and Jazz - a musical 'masala' that certainly won't just treat your ears but will get you up to dance"